Rainbow Comprehension is my version of Close Reading. Rainbow comprehension allows even the youngest of students to begin interacting with text to gain understanding and build comprehension skills. The goal of close reading or rainbow comprehension strategies is to obviously build strong comprehension understanding. It also helps build independence. 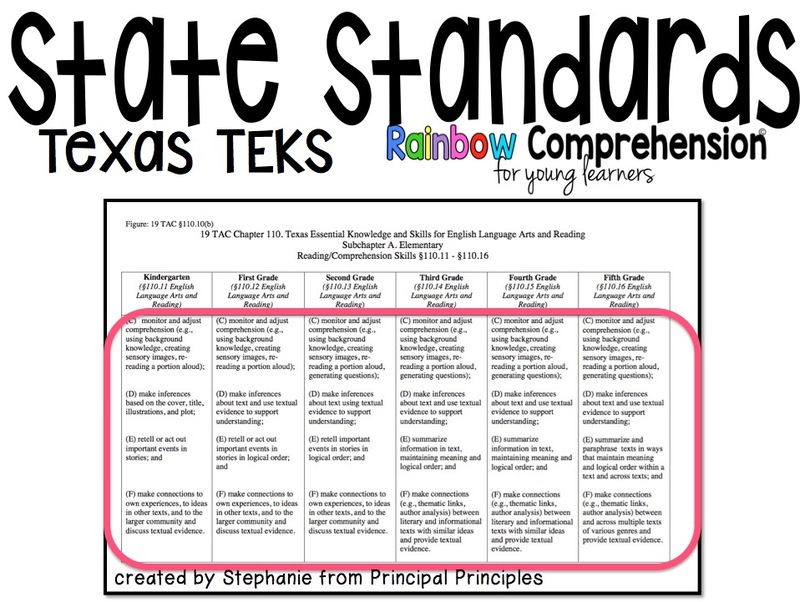 When educators begin teaching these strategies with young learners, the strategies are then engrained in them as they move through each grade level. 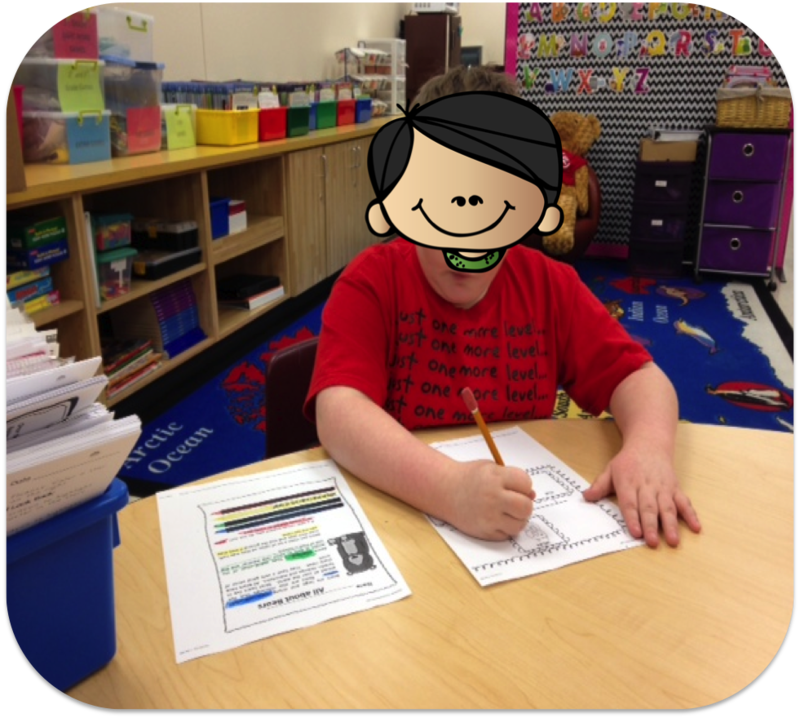 The strategy involved is all about rereading of a text. We give the students the questions and, they go back and search for the answers. 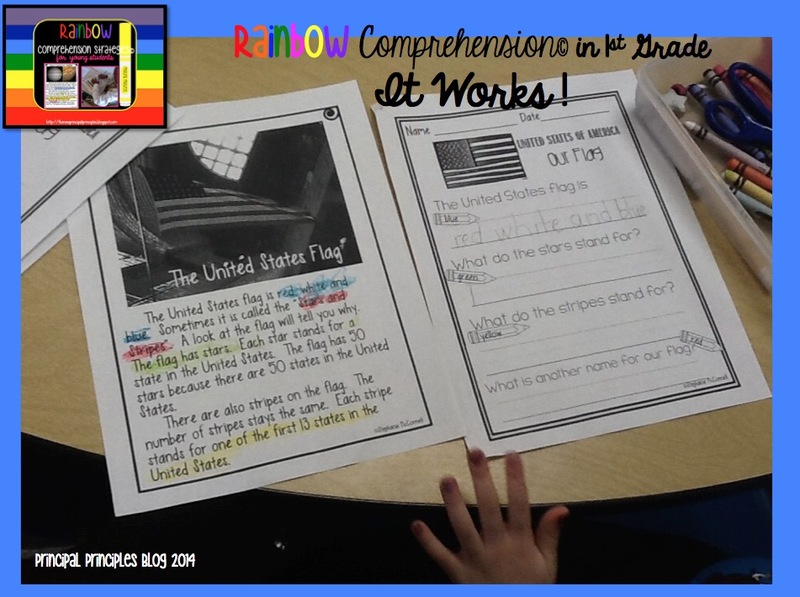 For young learners, these questions are simple recall-type questions. I call these type questions "right there." 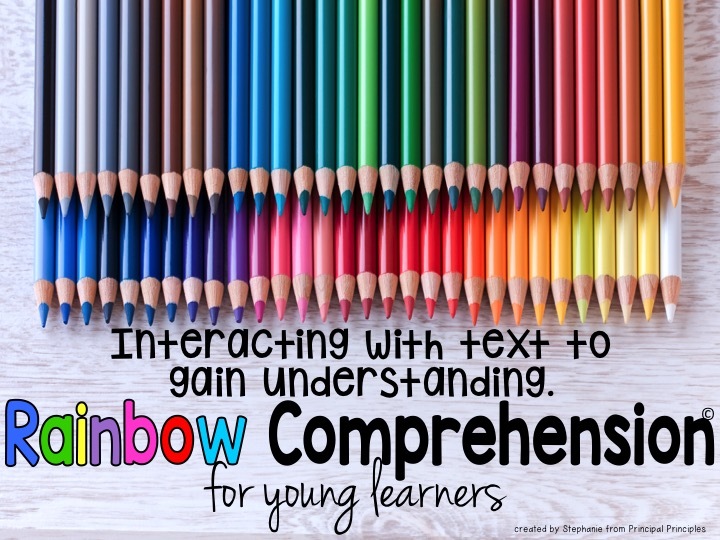 This means students will not have to infer to determine the answer. It's all about a process and steps in locating evidence in the text. Colored pencils, crayons or markers are a must. They all work just fine. 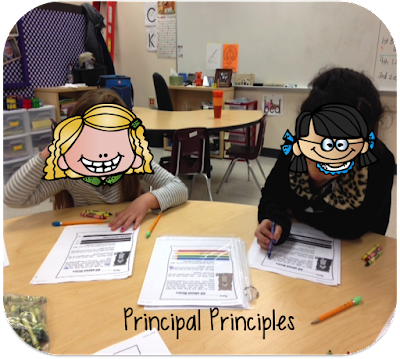 How it works: Introducing this process is in a GUIDED small group setting. It is never intended to be independent for young learners. 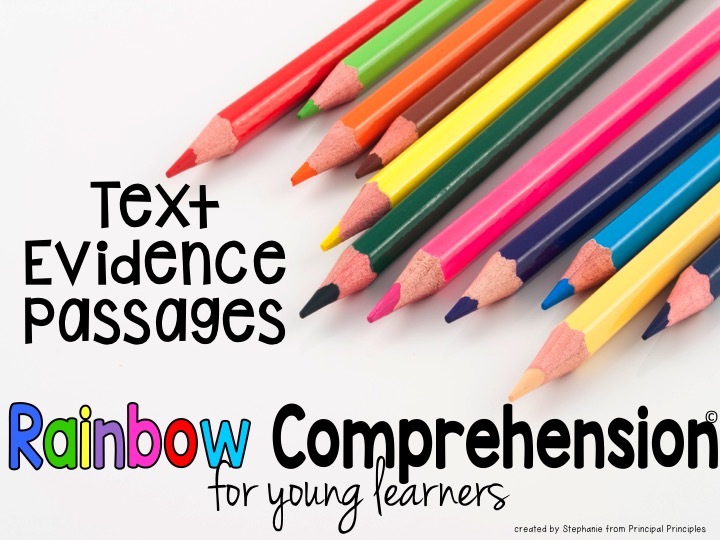 The teacher introduces the text and sets a purpose for reading. Students read the passage for the first time and discuss the passage with the group or partner. On the second reading, students circle words they aren't sure about and/or underline key words. 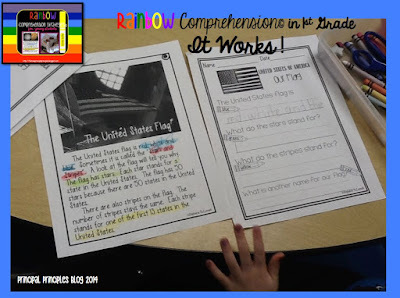 Students can mark the big ideas and key details. After a third reading, students go back through the text and search for evidence. Evidence is proven with the colored pencils. 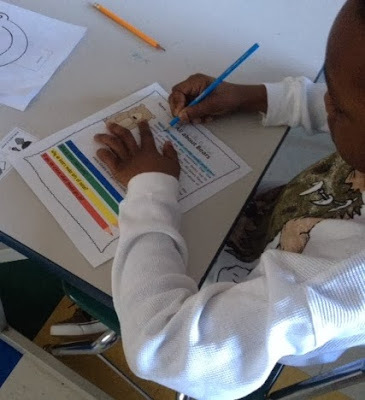 Each question is given a special color to use. 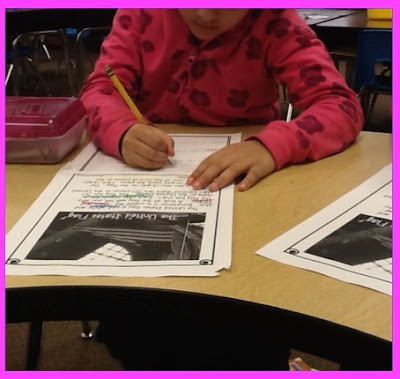 When learning more about these steps, I have noticed there is a variety of ways to approach close reading. The steps are important but the process of explicitly working a passage with the students on a routine basis is the crucial piece. This process is not something we should do every now and then. It should be a routine piece in our classrooms with our young learners. 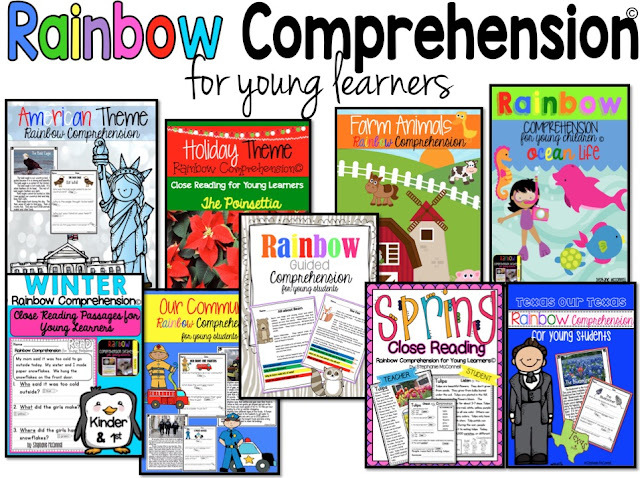 If you are interested in getting started on these Rainbow Comprehension Packs, head over to TpT.